TORONTO, ON – Bellwoods Brewery has revealed full details for this year’s edition of Motley Cru, an annual barrel-aged and bottle conditioned beer released to mark the brewery’s anniversary. 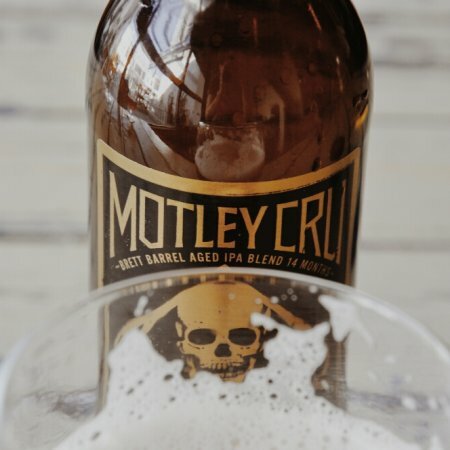 Motley Cru barrel blend 2014 is an IPA aged in barrels with Brett for just over 14 months, transferred to a fermentor, dry-hopped with a healthy does of Citra and Mosaic, before conditioning in the bottle with fresh champagne yeast for another 2 months. Given the long-term aging that the beer went through over most of 2013, it has emerged deeply oaky in both its aroma and flavour, exhibiting bold vanillins and tannins. It’s extended affair with Brett contributes soft smoke and cherry flavours, and a characteristic dryness. And yet, the dry-hopping applied another, strangely complimentary layer to the beer, imparting intense aromatics of fresh lychee and fuzzy peaches. The resulting Cru is beautifully juicy, with a bright orange colour, thick mousse-like head, and muted bitterness. Bellwoods Motley Cru 2014 will be released ay 12:00 noon this Sunday April 6th – the exact date of Bellwoods’ 2nd anniversary – in a limited edition of approximately 1000 bottles. The 500 ml bottles will be available exclusively in the Bellwoods retail store, selling for $13 each with a limit of 4 per customer.